It never hurts to know a bit of the science behind your energy supply. If you hadn’t guessed already, we’re really into it – so here's a quick introduction to read over your morning coffee. As you know, we’re keen on green. Green energy comes from a range of cool innovations, but you’re most likely familiar with the big three – solar, wind, and wave. The more controversial sources are nuclear and fossil. Regardless of source, all generated energy is fed into the National Grid. 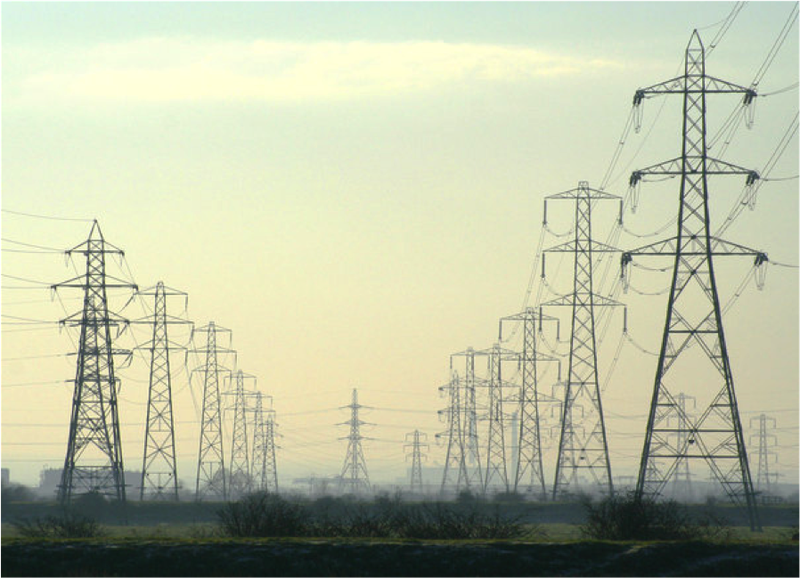 The National Grid then takes the electricity – renewable and fossil – and shares it among households and businesses across the UK by the network of pylons and cables you often see from your car window. It’s a great balancing act, matching input to output, and the Grid manages it all. If you’re feeling geeky you can monitor the grid live here. To transport electricity over the National Grid efficiently, the voltage must be changed. Power stations have “step-up” transformers that increase the voltage (up to a staggering 400,000v) while lowering the current, minimising any energy lost during transport. Since this voltage is too high for domestic usage, local “step-down” transformers reduce the voltage to a much safer, less terrifying 230v. Hmmm... So why aren't birds cooked on power lines if the voltage is so high? For the current to pass through the bird there needs to be a voltage difference, and given how short the distance is between the bird's legs, the difference is negligible. 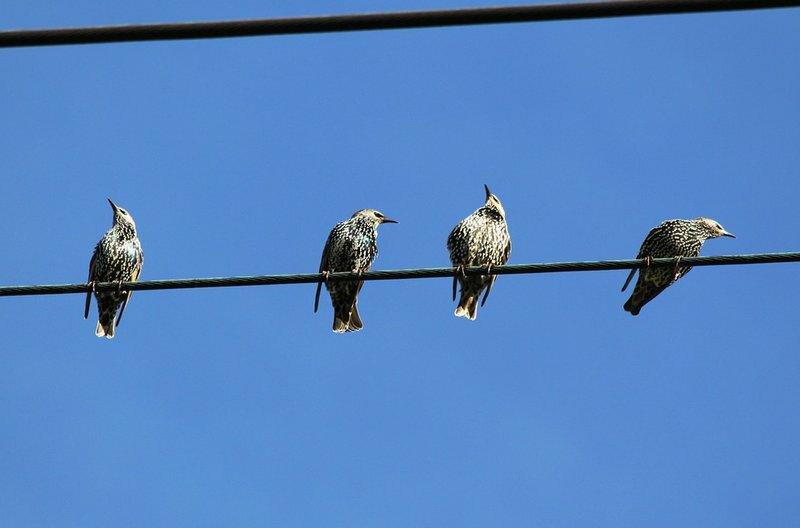 If the bird were to touch another wire with a different voltage – such as a neutral wire or the pole connected to the ground – it would mean a nasty electrocution for our feathered friend. This is the principle of electric potential. There is effectively no difference in electric potential between one foot and the other, so no reason for the electricity to follow that path. Also, power lines (usually copper) are better conductors of energy than birds's bodies, so electricity prefers to move along the wire than through the mix of tissue, bone, and feathers that make up the birds. This is the principle of electrical resistance, in other words, current passes through the path with the least resistance (in this case, the power line). Okay. If all the electricity is fed into the National Grid, how do I know exactly where my electricity was generated? Glad you asked. Since all the energy is bundled together in the National Grid, there’s no way to know for certain. But, since you get out only what you put in, green initiatives do work – if you generate enough green energy for 12,000 homes, like we’ve done at Molland solar farm, then you can take that out knowing it’s a renewable source. We’ll be explaining how green energy works in more detail in a future blog, so keep an eye out. Underground, or under the seabed. In fact, the UK used to get all its gas from the North and Irish Seas. 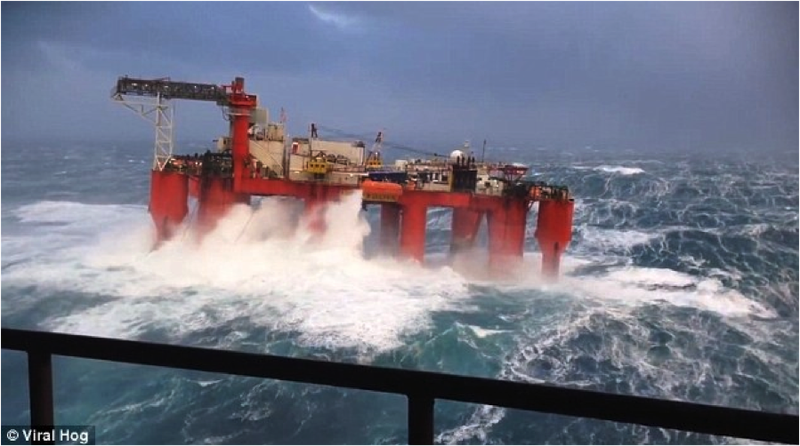 Ever seen those pictures of drilling rigs lashed by harsh northern weather? That’s where the gas would be piped up from reservoirs hundreds of metres below the surface. Now, like in many countries, supply of this natural resource is dwindling, so we top up our gas from overseas (from Ireland, Belgium, and the Netherlands), shipping it in through pipes and as liquified gas, with a small percentage produced on-shore. Like electricity, the National Grid manages the transport of gas from its source through a complex network of pipes and into your homes. Although the National Grid is responsible for getting the gas into your home, it’s your supplier that owns the gas and sells it to you. Isn't there a type of renewable gas? Yes and no. Biogas, created from organic stuff called biomass, can be upgraded for use in the National Grid, but has yet to be rolled out at scale. 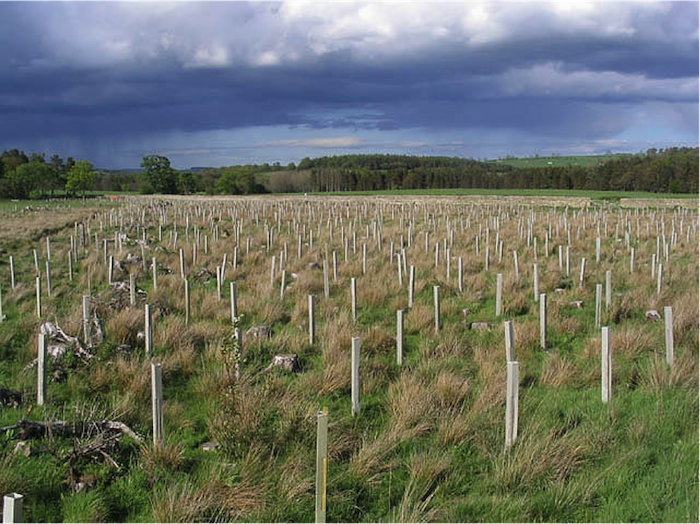 For our Green Octopus members, we offset the carbon by tree-planting in the UK, reforestation in Kenya, and saving forests in Brazil. Freshly planted trees about to get a soaking. Have any more questions about your gas or electricity supply? You know the deal – call or email us at hello@octopus.energy.